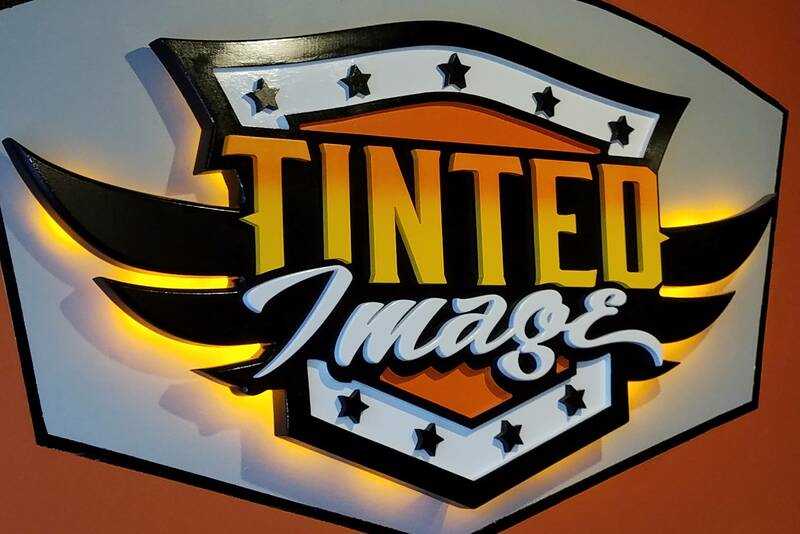 When Steve Kolacz with GrafiXhouse Design Studios did a rebranding for local paint protection company Tinted Image, he did it with an eye towards dimensionality. 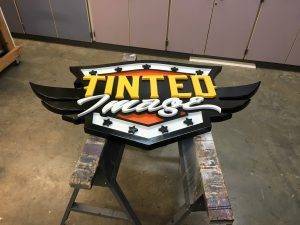 He wanted to create a 3D Precision Board HDU sign for the company as part of their logo redesign and branding package and he used stacking to create different layers of dimension for their new lobby sign. 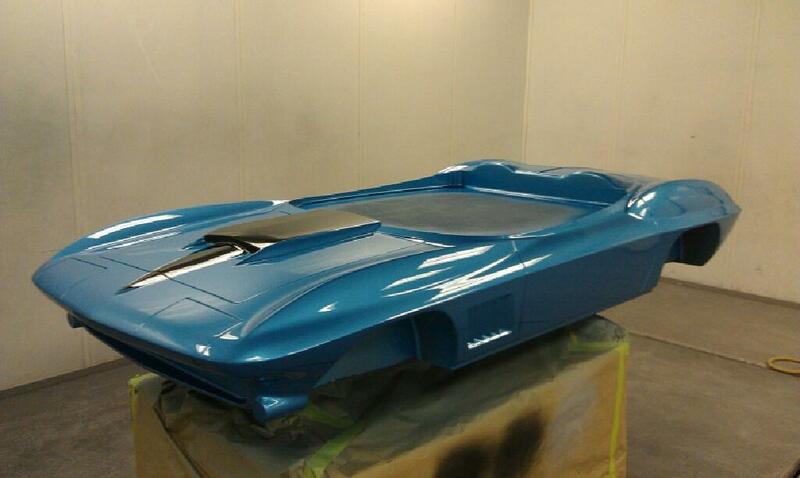 Tinted Image, just outside of Raleigh, North Carolina, specializes in paint protection, window tinting for automotive, flat glass, heavy equipment and marine. So when the owner decided to rebrand, he wanted a new logo with a shield to convey the idea of protection for customers’ paint and tinting. He also really wanted the sign to stand out. 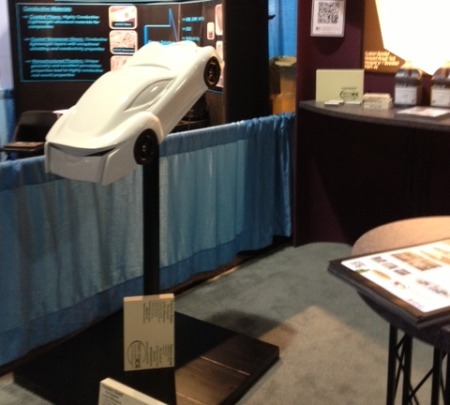 “I like routing into the HDU along with adding additional layers of HDU,” he says. 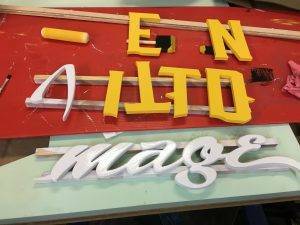 “By stacking, pushing and pulling different pieces, you can give a sign different dimensions, which is particularly appealing for lobby signage,” he adds. 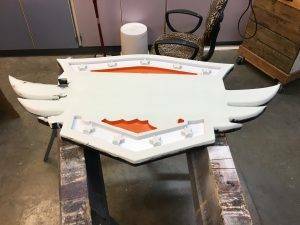 Steve routed the HDU on his ShopBot after designing the sign using Flexi and Adobe Illustrator. He hand shaped the feathered edges and added a 1” French cleat to the back. The painting was done using Createx airbrush paint and 1 Shot lettering enamel. 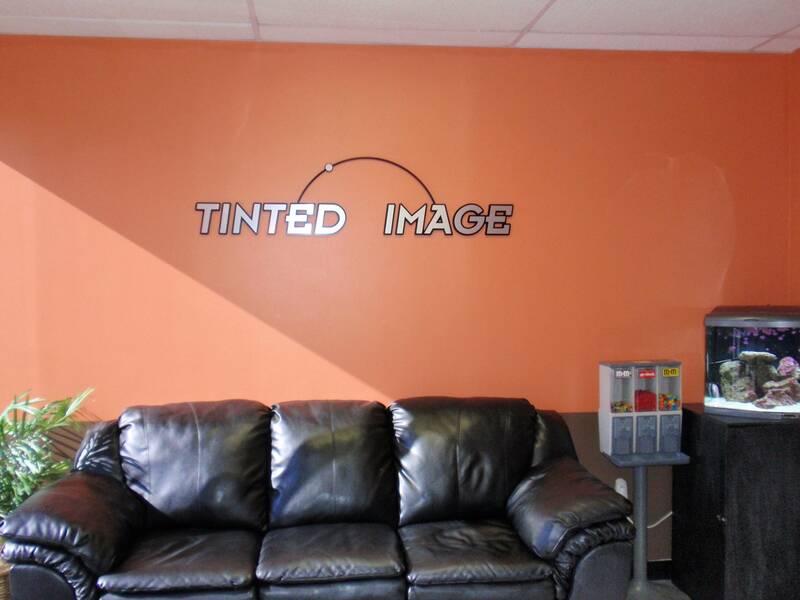 He hand-painted the sign and airbrushed the fade across “TINTED”. 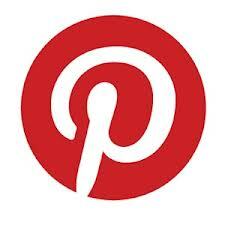 The lettering and background is all PBLT-15, with 1/2″ thick letters on the “TINTED” and “Image” parts of the sign. 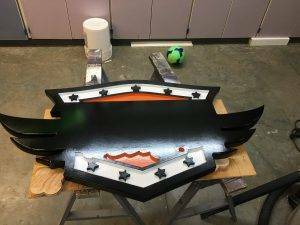 The finished sign is 28″ by 53″ and the background is 1.5” thick. 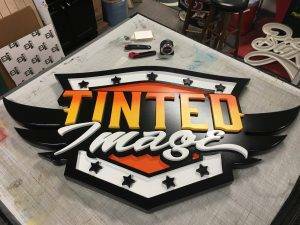 “Once the owner of Tinted Images saw some of our displays he wanted to add halo lights to his routed sign,” Steve adds. 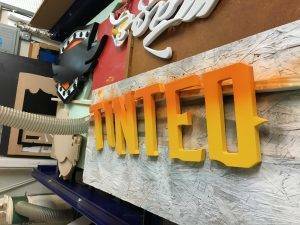 The back side of the sign was routed ¾” deep to make room for the lights and wires. 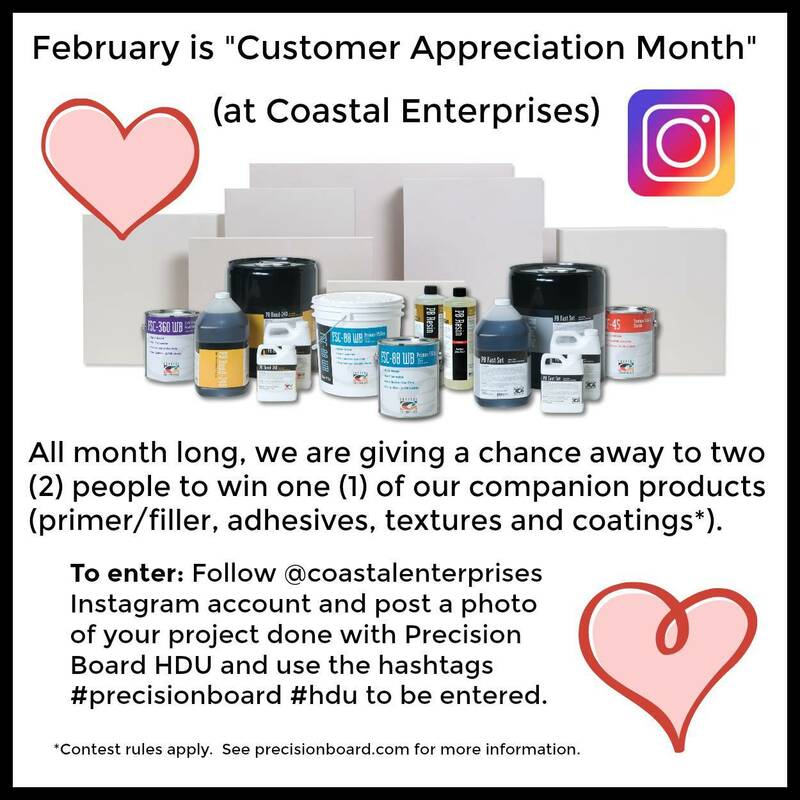 “It is exciting for me when a customer comes into our studio and sees our displays and sample signage and then they become a part of the design process. That creates a better end product for us both” said Kolacz. 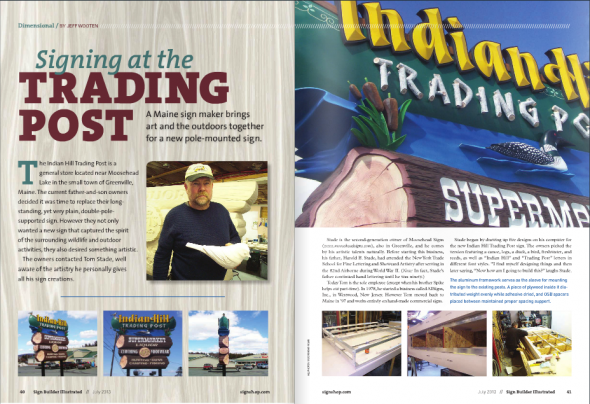 “It didn’t take us long to do the 3D sign once we had the logo design complete,” Steve says. 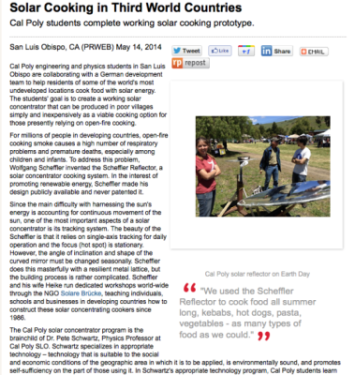 “It took about 2 hours to rout the Precision Board and approximately 6 hours total from start to finish,” he added.